A day with Australian friends in gentle Charlottenburg: Saturday morning market, asparagus in season, cake, coffee, a walk to the Schloss, wine and chat in their flat. When we leave for home, police are massed at the S-Bahn watching the soccer supporters disembark. 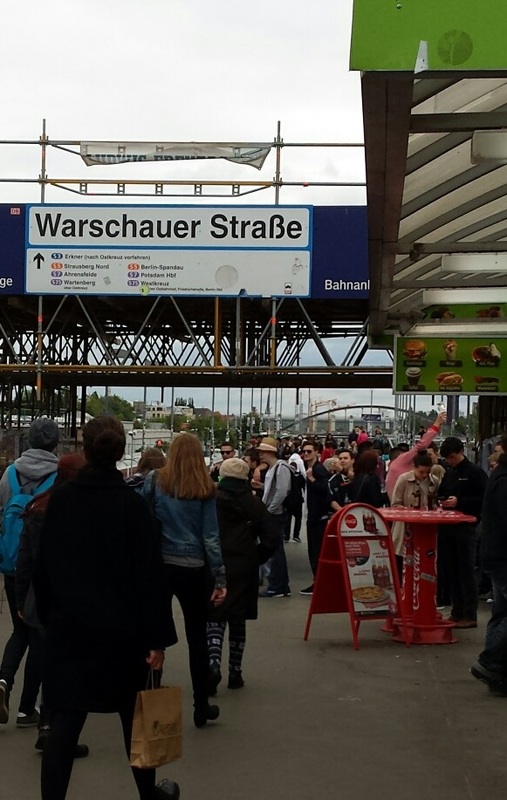 We take the train east, and at Warschauer Strasse station the evening hordes are streaming over the bridge to the clubs and bars in gritty Friedrichshain.